To help your business get more exposure online you need these 5 things. Basic but extremely powerful. They matter a lot! We'll go through these 5 steps and explain how and why they matter so much when it comes to getting your business found online. It's more important than ever in 2016 and the years to come. Most businesses already have one even if they don't know it. Google's online directory includes practically all businesses. But it's not completely up to date. Your business may or may not be there. If not you can easily add it. To get started first check to see if it's there. 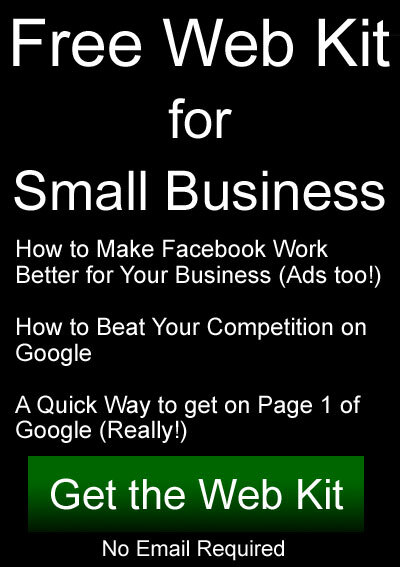 Go to www.google.com/business and click the "Start Now" button. If you're not already logged into your Google (Gmail) account then login. If you don't have a Google account you should create one. This account will be where you control access to your directory listing. Next you'll type in your business name and city, state. If you find your business you can claim it. You'll be put through a short verification process to prove to Google that you are the rightful owner. Once you have control of your listing you can correct any mistakes and fill in more information including photos. Be careful to provide the exactly correct spelling of your business name, address, and phone number. Also be sure to specify your website url (www.yourbusiness.com). Your website must contain your correct business address. It should be on your contact page. It can also be in your footer or header. It's very important that this address (and phone number) match what is in your Google directory listing. Your landing page is simply a page on your website that visitors first see. Most of the time this will be your Home page. When using paid advertising you can send people to any page on your website. Whatever page that is, is called a Landing Page. The first page that visitors see is extremely important. You don't want visitors to leave so you must make your landing page very clear, informative, and compelling. It should give the visitor a good idea of what you have for them. It should not talk about your business except to provide some authenticity and positive impression. As mentioned earlier, many times this will be your Home page. This is more important than ever as so many people are accessing the web with smartphones and tablets. Most people will just leave as soon as they see a non mobile friendly website. I know I do. One way to verify that your website is mobile friendly is to narrow your browser window way down to about the width of a smartphone and look at the bottom. If you see a horizontal scroll bar then it's not mobile friendly. Of course looking at a website on a smartphone makes it pretty easy to verify as well. Your web designer will know how to make your website mobile friendly. Most websites built these days are going to be mobile friendly. This is another step that's becoming increasingly important. Remember you don't need a separate login to create your Facebook page. Just go to this link while you are logged into Facebook: www.facebook.com/pages/create and you can build your own Facebook page. 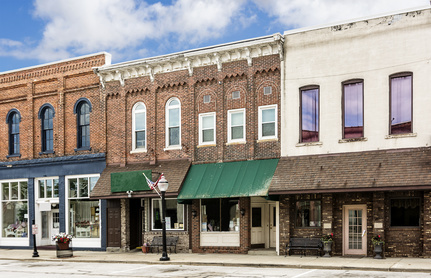 If your business has a physical location that serves customers at that location you'll want to choose the "Local Business or Place" category. That will get you on the Facebook map and allow people to "check in" while visiting your business. Another relatively new feature from Facebook that's really important for local businesses is the services page. It's found here: www.facebook.com/services. Your business will show up here if you have a Facebook page and categorize it correctly. The category selection is part of the step by step process that you'll go through when creating your page. When you have these 5 steps completed you'll be in good shape. To take it to the next level you can use both Facebook paid advertising and Google paid advertising.